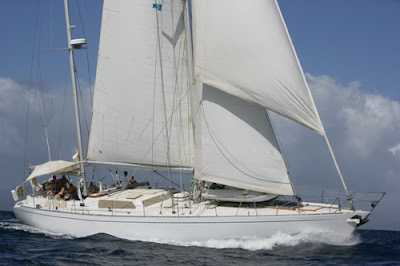 Shaitan of Tortola is offering a Special Valentine week charter! BOOK NOW - for a 15% discount up to 10 pax for Valentines week in the Grenadines. Shaitan can easily stay for three days in the Tobago Cays as the boat has two household freezers and a household fridge. Most yachts need to re-provision with ice, bread etc..... Shaitan has chartered multiple times in the Tobago Cays with a group of eight for 4 days. Come and enjoy the cuisine with award winning Chef Iris on this spacious comfortable yacht.